Your home is supposed to be a haven for you and your family and at Norwalk – La Mirada we know you want work done with as little disruption as possible. Whether you need us for an emergency plumbing, emergency heating or emergency cooling job, we will do our best to accommodate your needs. We provide experts who understand you do not want additional disruptions or major cleanups after our technicians have left your home. We know that plumbing problems can be very disruptive and we know you expect them to be cleared up as quickly as possible. We have an established history of providing the best plumbing services available in the towns of Norwalk, La Mirada, Whittier, Santa Fe Springs, La Habra, Downey and Cerritos. Our skilled plumbing experts will make sure that your work is completed right the first time, with as little disruption to your home as possible. When you want your kitchen or bath plumbing redesigned, you want the best possible work at a price you can afford. Norwalk – La Mirada provides you with top quality workmanship and craftsman, who understand you are not happy until the work is complete. Let our expert Southern California plumbing specialists help you find the right materials, colors, and designs for your kitchen or bathroom plumbing, faucets and fixtures. 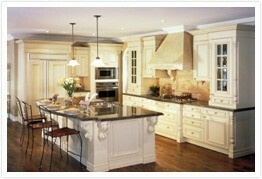 We will work closely with you to create the kitchen or bathroom of your dreams. We sit down with you to make sure we fully understand what you expect from your project and the company you have trusted to get it done.